The rainbow Oreo cookie.© KRAFT FOODS. Often the unsung hero of the food photography world is the food stylist. A great food stylist is the difference between making an art director and photographer’s vision come to life or laying there like yesterday’s lunch. One of the best in the business is Charlotte Omnes. She got her start in Seattle working with photographer Angie Norwood Browne, as well as a few others in the Seattle food industry. 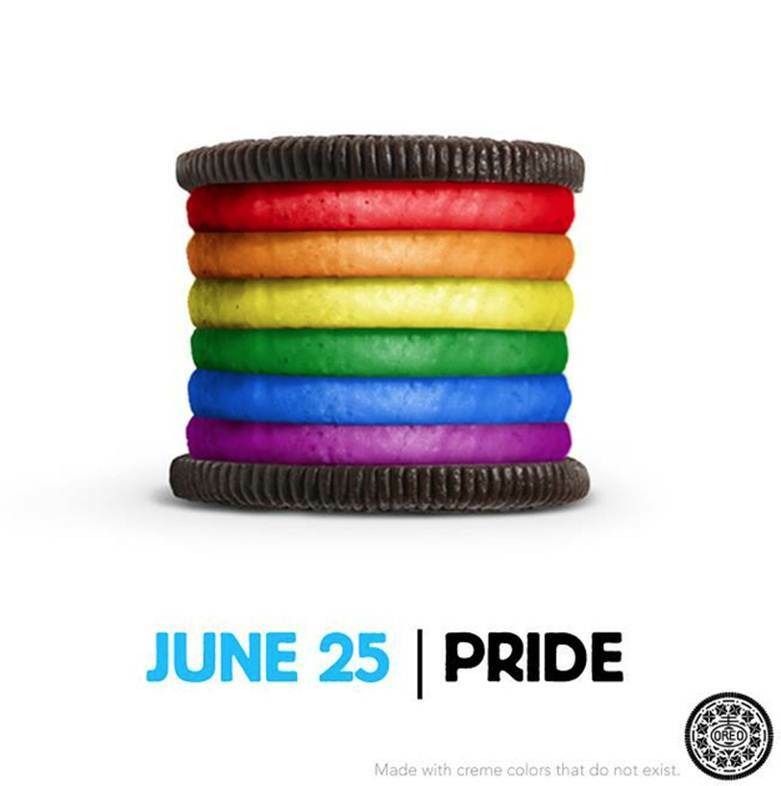 She moved to New York several years ago and has participated in several high-profile ad campaigns including the now infamous OREO cookie ad by Kraft run in support of Gay Pride month that spawned a tremendous social media response. Omnes worked with creatives from Draftfcb and 360i in a glass box in Times Square to create this twist on the OREO. Take a look at her online portfolio and see how she helps turn food into the works of art garnering the attention of Kraft, FAGE Yogurt, Target, Coco-Cola, and more. This entry was posted on November 13, 2012 by Robin Avni in design, food + beverage, issue 5: food with thought and tagged charlotte omnes, food, food stylist, photography, social media.